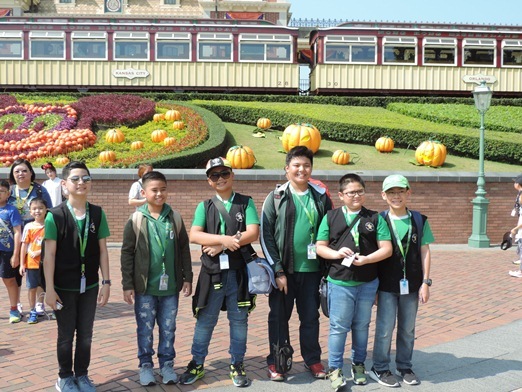 A trip to Hong Kong Disneyland was included in the 5-day itinerary of the LSGH Grade School Student Council Officers Leadership Immersion and Benchmarking Program in Kowloon last October 2017. It was actually their last activity before they flew back home. 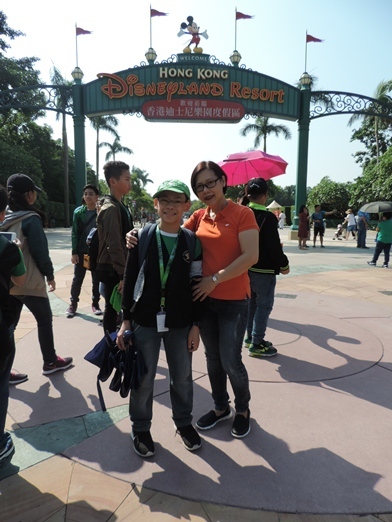 Some of the moms who joined this Hong Kong trip but checked in at a different hotel went to Hong Kong Disneyland early on a Thursday morning to meet their sons and helped the Student Council moderators keep an eye on the boys. 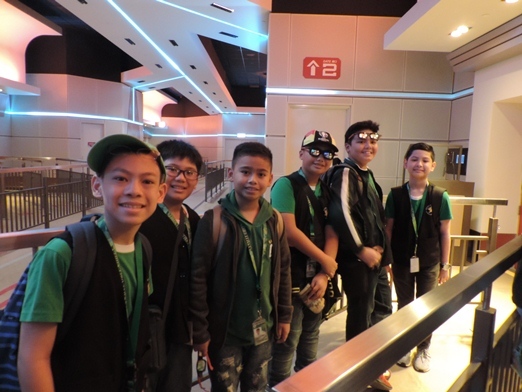 We got our Park ticket for HK$589 (a little more than Php3,000), which gave us access to all attractions and theater shows inside. 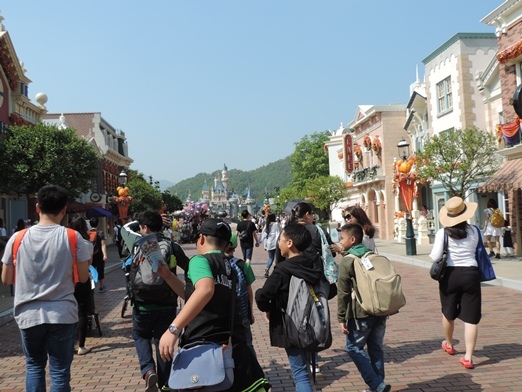 But because Hong Kong Disneyland is so big and the number of attractions are so many, one day isn’t enough for the boys to see and experience them all. 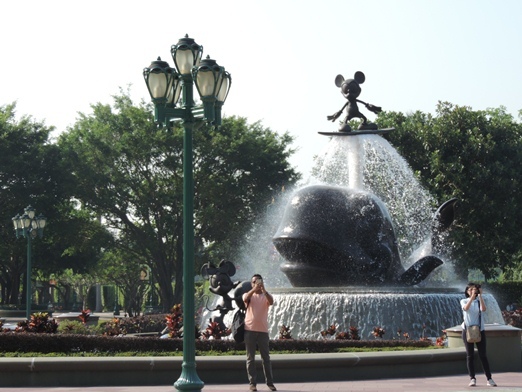 Hong Kong Disneyland is the largest theme park in Hong Kong. 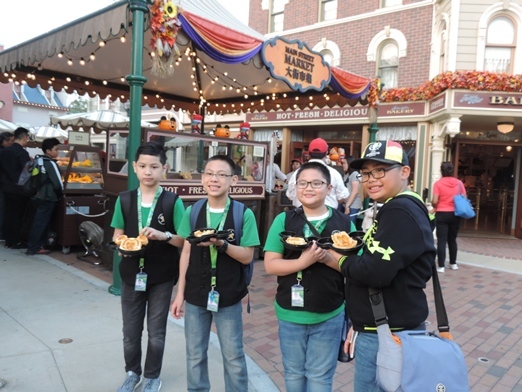 It is divided into 8 themed areas, namely Main Street USA, Adventureland, Grizzly Gulch, Mystic Point, Toy Story Land, Fantasyland, Tomorrowland and The Pavilion. 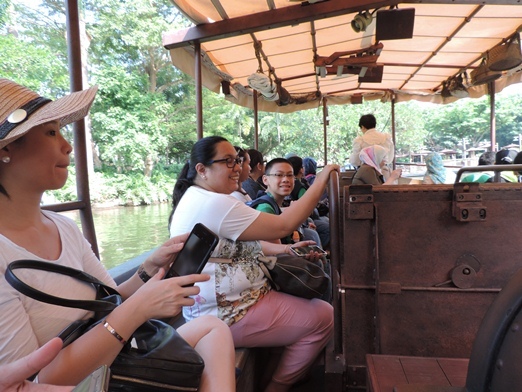 Guests can ride the train here at the Hong Kong Disneyland Railroad-Fantasyland Station to go to Main Street, USA. Extending from the park entrance to the Sleeping Beauty Castle is Main Street, USA. The buildings that you will see here are closely identical to those in Anaheim. 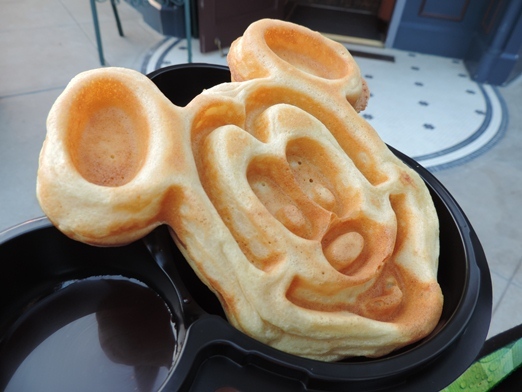 I simply couldn’t resist taking a photo of this cute Mickey Mouse waffle. 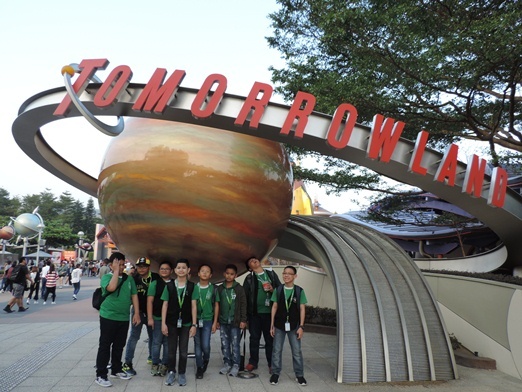 Tomorrowland takes you on an adventure to space and into the future. Fight the evil forces of Hydra with Iron Man at the Iron Man Experience. Magic and enchantment await at the Sleeping Beauty Castle. 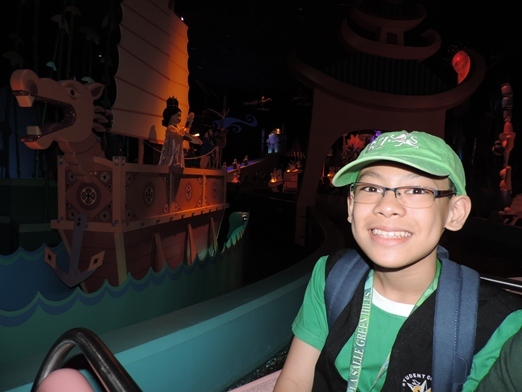 It’s a Small World will take you on a boat tour around the globe. 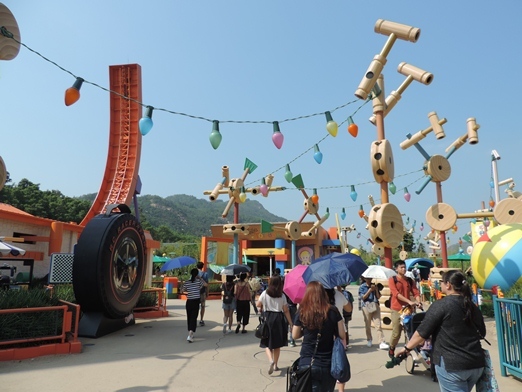 Andy’s toys will welcome you at their play yard called the Toy Story Land. 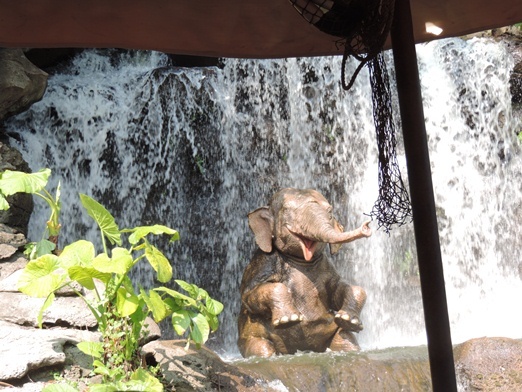 Discover the mysteries of the Rivers of Adventure at the Jungle River Cruise. 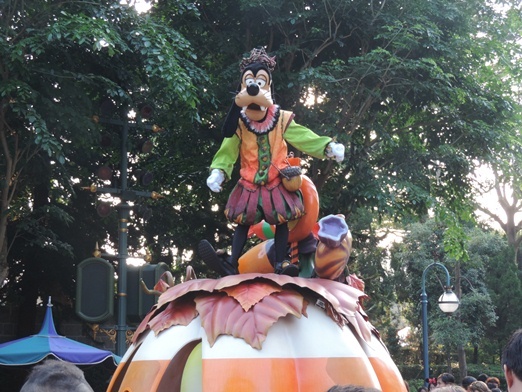 We also got to watch the Hong Kong Disneyland Parade featuring Disney characters, acrobats and aerialists. Because we stayed till closing time, we were also able to watch the fireworks at Hong Kong Disney. It was wonderful! 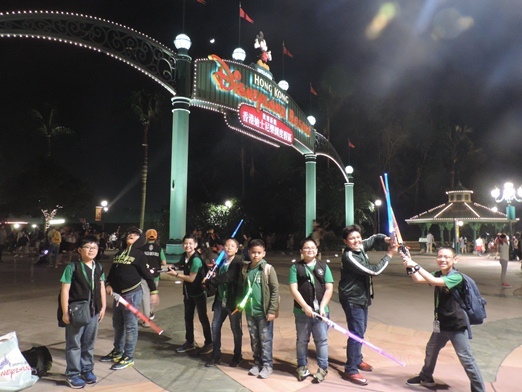 Here, the boys are horsing around with the Star Wars lightsabers they bought at the souvenir shop. 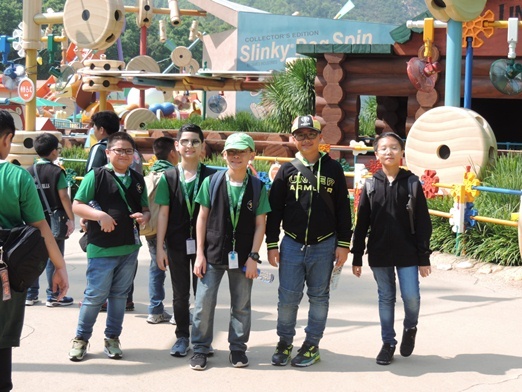 You can view this YouTube link to see more of our Hong Kong Disneyland trip. This entry was posted in Adventureland, Fantasyland, Grizzly Gulch, Hong Kong Disneyland, Hong Kong Disneyland Parade, Hong Kong Disneyland Railroad-FantasylandStation, It’s a Small World, Jungle River Cruise, Main Street USA, Mickey Mouse Waffle, Mystic Point, Sleeping Beauty Castle, The Pavilion, Tomorrowland, Toy Story Land, USA. Bookmark the permalink. All the boys looked happy and I’m sure they had so much fun with the rides. Sosyal ng fieldtrip nila. 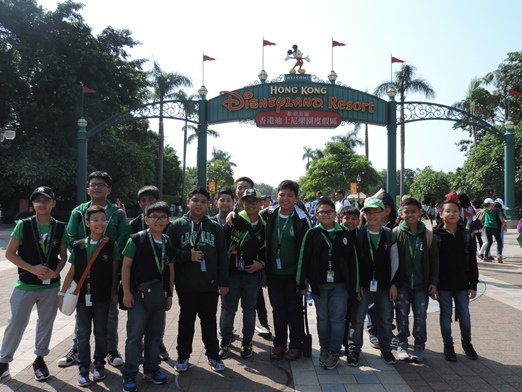 Wow, everyone enjoyed their HKG Disney adventures! 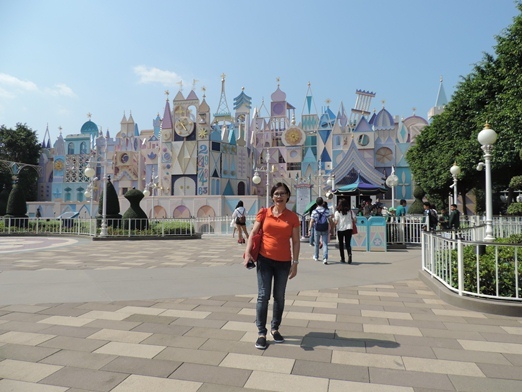 Last time I visited the place was 2006, few weeks after HKG Disneyland opened to the public and I am sure, a lot has been added since then, new phase of the park has been opened as well. Makes me want to plan a revisit soon!